From the very beginning, Jack Georges made a name for himself in the business woman's market by creating fantastic silhouettes that were as stylish as they were functional. The idea was to design product that simply made sense at work without feeling out of place after hours. Our Ladies briefcases, business totes, cross-body bags, handbags, wallets, and accessories are hand made in a wide variety of leathers including American steer hide, Croco, cross-grained, Italian, Hand-stained, or vegetable-tanned buffalo. We also offer styles in leather-trimmed wrinkle-free ballistic nylon or sueded cotton-backed fabric. This classic French Purse offers fashion and function for the woman who appreciates timeless style. With plenty of pockets for organization and a glossy patent leather exterior that compliments any handbag, this zip around wallet is a must have for the modern woman with a elegant sense of style. This tri-fold wallet or French purse is hand made from Italian patent leather, lined with American napa leather inside for added flexibility and a soft touch. With plenty of pockets for organization and a sleek leather exterior that compliments any handbag, this zip around wallet is a must have for the modern woman with a elegant sense of style. This classic ladies clutch wallet is hand made from Italian patent leather lined with American napa leather inside for added flexibility and a soft touch. The Milano Continental Wallet is crafted from luxurious Italian leather. Keep your everyday essentials stylishly stowed and neatly organized in the hand made Milano Large Clutch Wristlet Wallet.. It is padded for a softer touch, lined in suede, and accented with hand-stitched leather detailing. 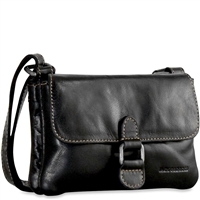 This Generations Edge Collection Cross Body is ultra lightweight and perfect for everyday use. This tote bag offers fashion and function for day to day use. 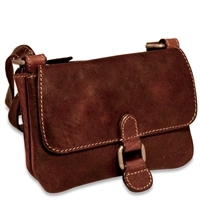 Looking for a special Jack Georges Leather Ladies product? Please don't hesitate to contact us with any questions.